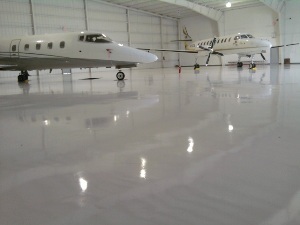 Looking to restore and protect your concrete floors with a high performance Industrial Flooring Solution? Look no further! Applied Flooring Technologies has a solution fit for you. Architects, engineers, facility managers have specified our industrial flooring solutions world wide. We can provide solutions for your flooring needs by structurally restoring the integrity of the surface, protecting against abrasion and chemical attacks while still maintaining a clean appearance. Maintenance supervisors and facility managers will no longer need to worry about the look, cleanliness and condition of the floors. Designed for industrial, manufacturing and warehouse facilities, our flooring systems also provide a nearly maintenance free finish strong enough to take constant vehicular and heavy-duty forklift traffic. Available in standard and custom colors, we can match virtually any facility color available. With our years of experience in industrial flooring installations for industrial, marine, manufacturing facilities and more, we design from the substrate to the finished surface for long-term performance.